In the last few years, a clique of fundamentalist occultists has emerged who claim that they are following the Original Golden Dawn system. They cut off all developments after Mathers was expelled. For those who don’t know, the central focus for this change means that the god-awful portal ritual in which the student is subjected to a boring lecture on diagrams and the Masonic style of giving the passwords and a funny handshake is superior to the longer more magical ritual which most people know about. The original ritual can be seen in my Mathers Last Secret Book because the AO could not be bothered changing it themselves. So is there anything in the original Golden Dawn teachings that is better than the off-shoots by the rebels? The rituals are shorter and less poetic and closer to the Masonic model, some of the elements which most people like about the GD or the AO were not in the original. The mindset is more of co-masonry or SIRA with a downplaying of the magical elements (in the early GD the second order had not been adequately integrated into the second order…. indeed the moment that the second order was developed (and Mathers delivered the Tham papers) the London adepts started to rebel). It was new wine into old skins, and the Order had to restructure to accommodate it. There is nothing in human history where the first draft is always better than the final copy. If you write a ritual or paper and it creates something living within you that act will unlock something new in you. You will then see the universe through that new information, and the original information will have to be changed and adapted. 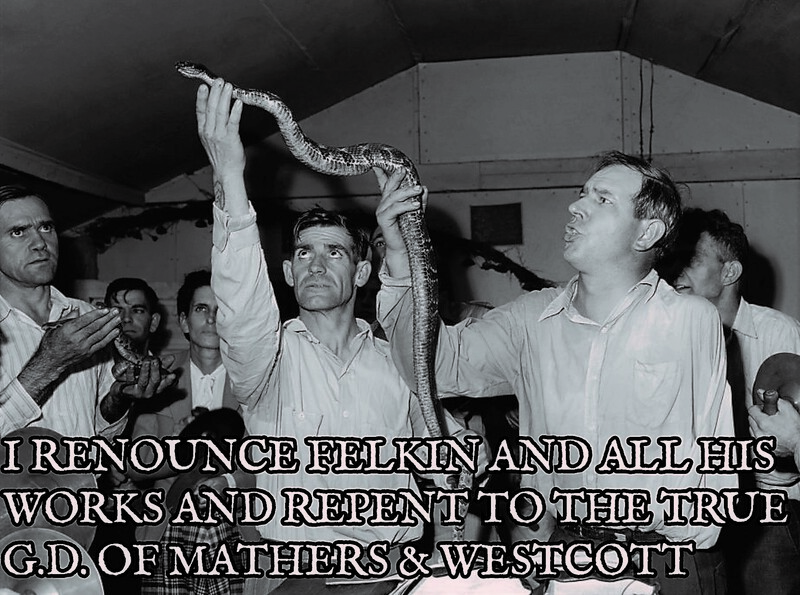 To say that the original Golden Dawn documents and rituals were perfect on their first draft implies that Mathers and Westcott were gods who had a clear perception of what the GD was and what it would do. However, we know that this was not the case. When the original rituals were written there were no perceptions of a second order and the vision was a form of SRIA which included women. Information was still coming into the order as late as ten years after. It implies that not only were Mathers and Westcott gods, but the rebels who followed them were idiots who did not know what they were doing. If this were the case, then the GD system failed because it did not train anyone who could carry it on. 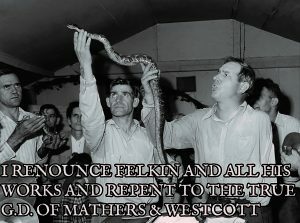 Westcott and Mathers were not initiated using their rituals, so that means that if the rebels were failures, then it means that the original rituals did not work. The issue here is that occultism is about time, training, focus and development. The follow-on orders had more time to understand and work with the rituals to know what needed to change and for students to develop parts of the ceremonies unworked by the founders. More modern students have even more advantages of applying information and teaching which was less accessible to those in the 19/20th centuries. 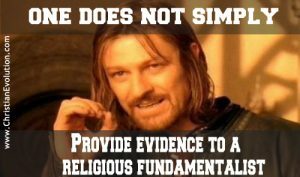 Most fundamentalist quests are based on insecurities and inexperience and a hope that a human document is correct and cannot be changed. If a single document or collection documents or rituals can be defined as “right”, then it means that others are wrong. If you follow this perfect document, you are “right”, and that rightness counters any gnawing personality problems. A fundamentalist must focus their intellect on one set of documents which reduces conflicts and enables a form of intellectual mastery which allows even a stupid person to look good. As a result, such movements are counter-evolutionary and opposed to intellectual development and therefore anti-magic which has been evolutionary from the start. Sure enough one of the standard bearers for this fundamentalist approach has already lectured me on the merits of a Masonic approach to the GD. For those who came in late, a masonic approach means doing the ritual without godforms, suppressing magical claims and then having a good dinner afterwards while feeling happy and secure that you have higher grades than the rest of the people in your group. Fundamentalism is always the swan song of a spiritual system before its collapse and replacement with something more akin to human life. Of course, this is where I get it in the neck for disagreeing with them. Fundamentalists are not a big fan of those who disagree with them. It implies they are wrong and if they are wrong then the universe where they, and only they, are important is under attack. A magical tradition (or anything else) that does not grow and evolve is dead. Why would anyone want to follow a dead tradition? I think this ignores a third position. Yes, there are zealots who posit a holier than thou fundamentalism, but there is also the question of central coherency and a consistent approach. Each branch of the Golden Dawn has a specific feel, perhaps even egregore. Choosing to work consistently with a primary source doesn’t negate the relevance of others. But the GD and AO have a central coherency, a way of doing things that differs significantly from (as an example) many of the Anthroposophical influences found in the SM and ST. These are things that have a central coherency. One isn’t more ‘right’ but have a focus to a particular egregore and approach. Certainly in the GD in the outer a strong argument can be made for settling in a standardised set of rituals, which may indeed include the new portal. In the spirit of a wider family tree it does no harm to know about the other branches, but it doesn’t mean you try to envelop everything that other people are doing. The second order, much more an experimental cell may be a better place to introduce more diverse influences for the adept to reconcile for themselves (and we know there was cooperation between the branches of the RR et AC). There is an unfortunate fourth way where the baby and bathwater get thrown out, trying to reconcile all the branches of the GD tree into one ritual, chopping, changing and even radically altering in the name of ‘progress’. This also extends to the throwing out of the sub grades of AM or even altering the established syllabus beyond recognition for one’s own pet projects and likes. Also not necessarily wrong, but a bit personally painful to see if your focus is more on a specific branch and organic developments thereon. I totally agree that fundamentalism is a bad thing, but choosing to work with a specific branch of the tree and working out of the central coherency of a single stream doesn’t necessarily mean there’s a holier than thou approach. Its a choice to focus on a specific branch, work from its core coherency, and to further develop along those lines. The same may be true of those who focus on the SM ritual, or the AO ritual, not in competition but with a sense of self sufficiency. Not everything is a competition or adversarial. Not everything is black and white in which everything not the same is ‘against’. And making a definite choice does not make one ‘right’ and others wrong. It’s just a choice. Every person or Order makes them, and there’s usually not a values judgement (or at least there shouldn’t be) attached to it. On the other hand people and groups shouldn’t be called out, with scorn and judgement and speculation on their motivations for their choice of focus and work. Folks and strokes (and again, it’s REALLY not a competition).